DALI is a lighting control standard defined under the European Standard IEC 62386 and for controlling electronic ballasts, transformers, LEDâ€™s, emergency lights and exit signs. IEC stands for International Electrotechnical Commission and is a non-profil organization. DALI was designed to replace traditional 1-10 V analogue systems and proprietary digital systems such as DSI (Digital Serial Interface). At a maximum there can be 64 DALI devices on a single DALI line and it has a data baud rate of 1200 baud. Digital Addressable Lighting Interface, named DALI, is a communication language. 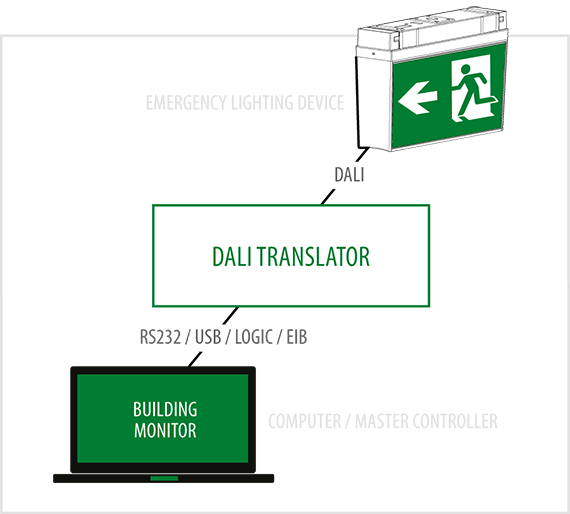 DALI facilitates the communication and therefore control of multiple devices such as ballast, transformers and other lighting equipment. Devices which speak the same language can exchange information, in much the same way people can exchange information when they communicate using the same language. Designed on a distributed intelligent framework, each DALI device has on board memory that stores all relevant information about the device, including diagnostics, which reduces the technical requirements on the control system and the amount of data to be transmitted over the line. Some control systems such as PLCs can talk DALI natively, whereas others may need a translator to assist in the communication, as seen in the diagram above. These translators are sometimes referred to as a DALI gateway. 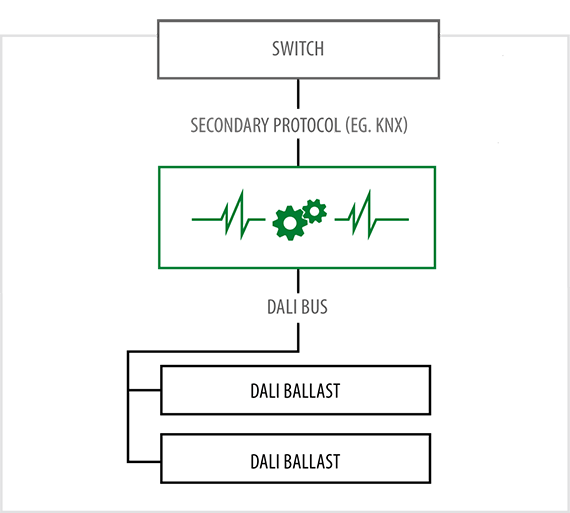 Protocols that use DALI gateways are normally slower and add extra complexity to DALI as they need to translate all their sent commands from their native language (for example KNX, EIB, BACnet etc) into the DALI language, whereas a native DALI device can speak directly to the DALI devices (ballast, leds etc) without translating the language. Just like when humans communicate, if one person has trouble speaking the language, issues or miscommunication can occur. This is the same with DALI, it’s not a problem with DALI, but a problem with the way the language is used. Above is a basic diagram of miss-communication that can occur with a non-native protocol controlling DALI ballasts. Ektor recommends using DALI products that have originated from suppliers which have a high knowledge in the DALI language, therefore minimizing this risk. 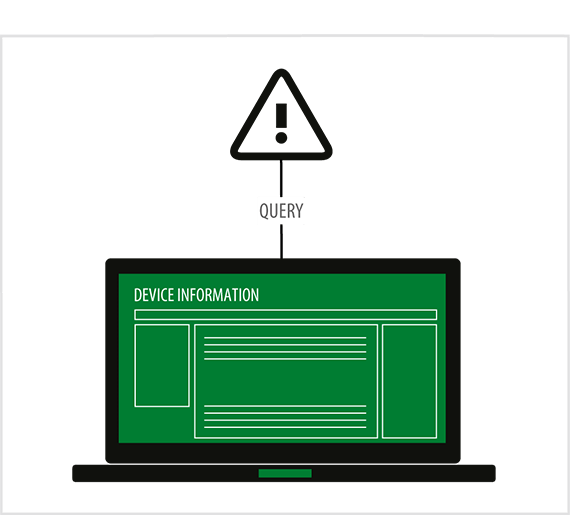 Unlike traditional lighting control protocols, DALI has bi-directional communication, allowing control systems to query data devices and obtain information about the status of each device. Queried information can be as simple as current state (on/off) or more technical, such as lamp status or battery level in the case of an inverter. Scene selection and fault diagnostics are also available through DALI, making it very useful to use with building automation systems where remote supervising and service reports are required.